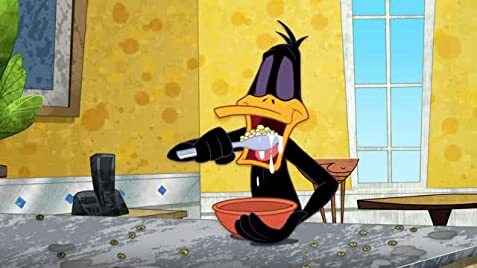 When Daffy, through a bit of sabotage, wins a romantic dinner at a high end place, he must get advice from Lola in order to pick up another duck he met at the copy shop. This accidentally gets Lola to fall for Daffy. Daffy Duck: You do remember me!